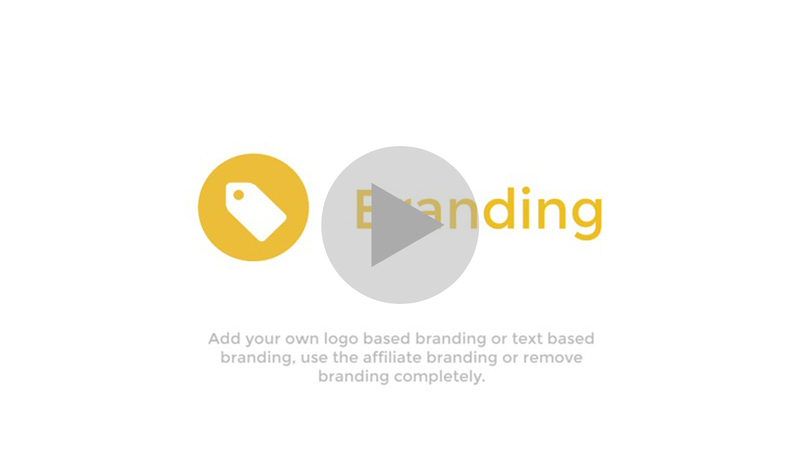 You can add your own branding to your Videos and Live Broadcasts Players or remove the branding completely. Giving you full customisation on what and how your viewers get to experience your content. For more information please visit our Player Branding information page. To edit the branding packages for your videos you will need to go to the Settings tab. By default there are 2 packages: You have the No Branding Package which fully removes all branding from your player as well as the Sponsored Package which adds our StreamingVideoProvider logo to the player and earns you commissions. You can also create a Text Based Branding Package as well as Logo Based Branding Packages.